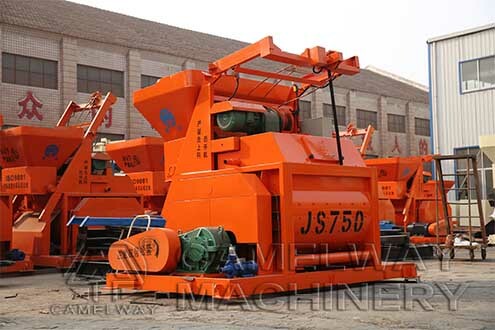 Mixer is the host of concrete batching station, so staff should have a strong sense of security, and operate mixer must clear the following points. During normal operation of the forced mixer, themotor temperature rise shall not exceed the allowable limit. Monitorthe load current of forced mixer motor. The load current of the motor should not exceed the rated current value of the brand. Monitor the power supply voltage. Current imbalance can cause overheating or other abnormal phenomena. Pay attention to the smell,vibration and noise of the motor. Regularly check forced mixer bearing lubrication,and oil should be replaced on a regular basis. Zhengzhou CamelWay Machinery manufacture is one of the large-scale enterprise specializing in construction machinery. If you want to know more information about the concrete equipment or buy it, please contact us at any time. We will try our best to service for you.